Wimbledon 2018 Predictions: Will Federer win again? The third grand slam of the year is around the corner and I thought it was high time for some Wimbledon 2018 predictions. Will Federer win again? Can Nadal surprise everyone to win his third Wimbledon title? Will Djokovic or Murray be back? Or will we see an outsider raising the trophy? The start of the grass court season in 2018 has not really revealed anything surprising so far. Federer looked great when he won in Stuttgart last week (watch my highlights video from his match against Zverev here), Raonic and Kyrgios both played well in Stuttgart too, but Raonic had to pull out of Queens due to a pectoral muscle strain and with Kyrgios coming back from elbow injury recently, it is hard to gauge his current physical and mental form. But let us dive into my Wimbledon 2018 predictions. 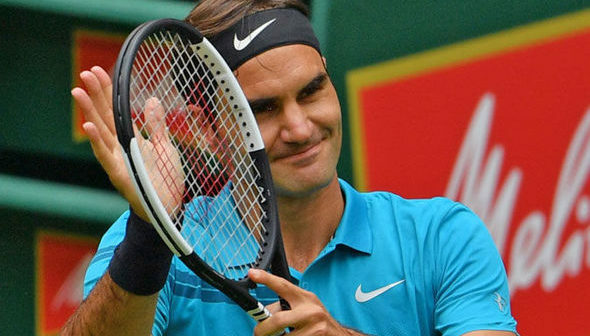 If you are looking for a favorite, it is pretty clear that Roger Federer will be that guy no matter how he performs in Halle. He won in Stuttgart and won his first match against Bedene in Halle without hassle. 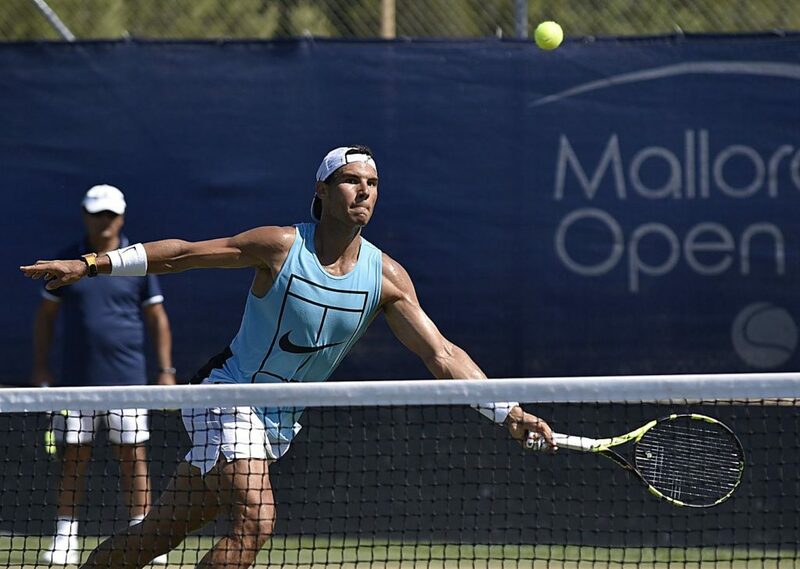 Despite a few months away from tennis, his form looks good. So it is hard to find anyone to challenge the eight-time Wimbledon winner. Kyrgios and Raonic are two guys posing a possible threat when they serve. Isner is there as well. Possibly a red-lining Sam Querrey. We know that Murray and Djokovic can also beat Federer on grass of course, but Murray has just returned from injury after 11 months and Djokovic is still finding his form. Wimbledon 2018 Predictions – Who can threaten Federer? Let us look at the top names to threaten Federer, one by one. Rafael Nadal – currently number two in the world after his world number one seesaw with Federer. Has not performed on grass in a long time. Despite practising hard on the surface in Mallorca, I have a hard time seeing him win a third time. His game is simply not built for grass, so it is very impressive that he has managed to win Wimbledon considering. My feeling is that Rafa will go out early to a big server. 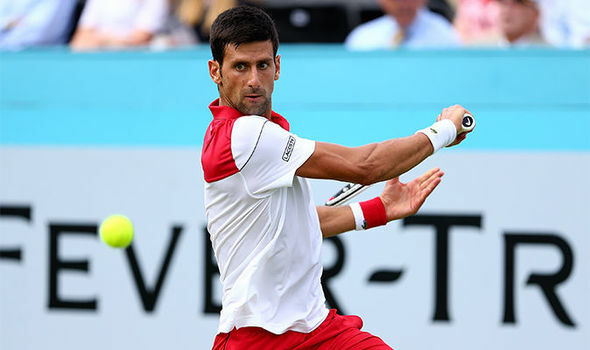 Novak Djokovic – looking better and better as the season progresses. Did well to reach the quarter-finals at Roland Garros and played a good match in the first round of Queens. Maybe Novak can find his game just in time for Wimbledon? In that case he is a definite threat. I still think he will find it hard to reach beyond the quarter-final stage. 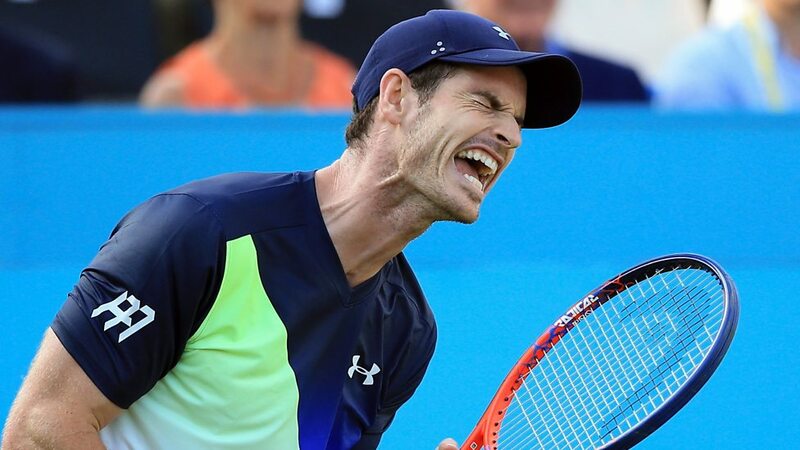 Andy Murray – played better than expected against Kyrgios in Queens but lost in the end. I think Wimbledon is too soon for him to find his form, but if he can win one or two matches he should be happy. Alexander Zverev – has had an amazing season, but has as lingering injury that affected him in the French Open also in his first round loss in Halle. I am not even sure he will play Wimbledon and if he will, I doubt he will get a good result. Grigor Dimitrov – What is going on with Dimitrov in 2018? Well, it is hard to say but he is far from his form at the end of 2017. He has the game for grass courts, but unless he wins Queens or reaches the finals there, I have a hard time seeing him go far in Wimbledon. Juan Martin Del Potro – He has had a great year and is back in the top ten. But he is not playing any warm-up tournaments ahead of Wimbledon, and is not the most comfortable on grass. Has a big serve and a hammer of a forehand, but I think his health is a question mark. He is a maybe for me. Marin Cilic – Not the most exciting guy to watch, but a player that has really showed some good consistency recently. Reached the final last year and could potentially do it again. Loves the grass. Milos Raonic – Like I mentioned above, Milos is an excellent grass court player who made the finals in Stuttgart after some fine tennis and was close to beating Roger Federer again on the surface (like in Wimbledon 2016). But the strain to his pectoral muscle is troubling. If he is physically fine, he is one of the top candidates to win the title. Tomas Berdych – Another guy with a horrible year result-wise. Plays well on grass but does not have the confidence to do anything remarkable in 2018. Dominic Thiem – Has a more versatile game than you would think considering his massive, loopy swing-path. Does well on grass as well as clay. The finals in the French Open should give him confidence but can he make the transition? A good result in Halle is what he needs. Kevin Anderson – Like Cilic, he is not the most memorable guy on the tennis court, but the results speak for themselves. He has a big game, enjoys grass and can come from “nowhere”. A dark horse! Stan Wawrinka – It was nice to see “Stan the Man” get a confident win under his belt in the first round of Queens, but how will he do against Sam Querrey in the next round? If Wawrinka can string together a few wins in Queens, he can be a threat in Wimbledon. This is the slam he is missing and with Magnus Norman back in his camp, the mindset and fitness can be back. Kei Nishikori – The list is getting long, but Kei deserves a mention. Always a dangerous player on any surface when he is healthy, but hard to know how he is feeling physically/mentally. Needs a good week ahead of Wimbledon to reach far in the draw. As you can read from my comments above, I think Federer is the clear favorite for another title. He looks confident, healthy and rested and will bring the usual GOAT-aura with him when he plays, especially on grass. I do not think his victory will have that cakewalk feeling to it like it did last year, but he should still be the favorite with most people. Now I am curious to hear what you guys think about Wimbledon and the Federer’s chances to defend the title. Please comment below! He went to the finals in Stuttgart and has a huge serve. I’ll make a bold prediction that Kyrgios finally breaks through and wins it all. He just lost to Cilic but it was close, and Nick looked really good. What about 21 year old Borna Coric who at the weekend beat Fed in the final on grass at Halle? 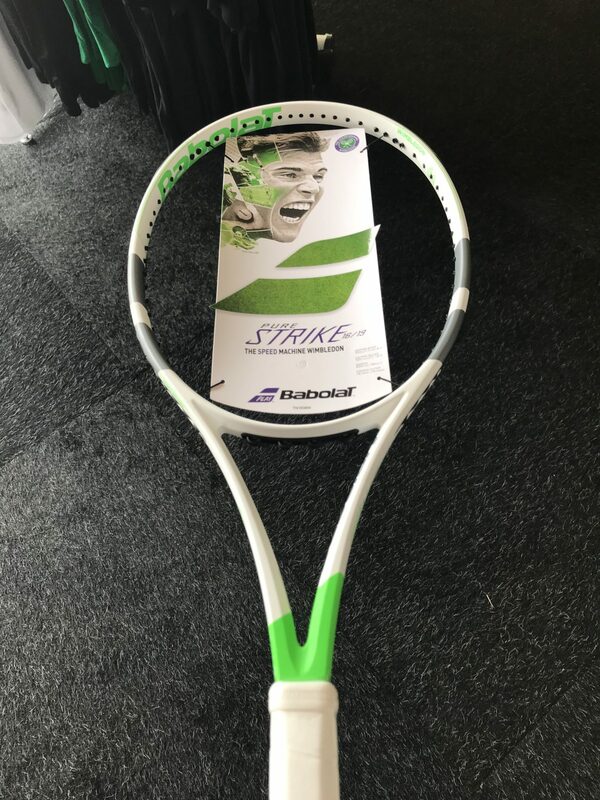 Off topic but Jonas I want to say a big thank you to you for your comments and reviews of the the Angell K7 Red, I love it, best racket I have ever played with! The combination of a recent 3 day tennis camp in London, and the K7 has taken my game up a big step. Yes, he played amazing in the final! Lets see if he can follow it up. Really happy you like the K7 Red! Good luck on your future steps in your tennis career! Agree! With Kyrgios you never know. If he wants to play and is focused he can beat anyone. Sadly, the opposite seems true too.